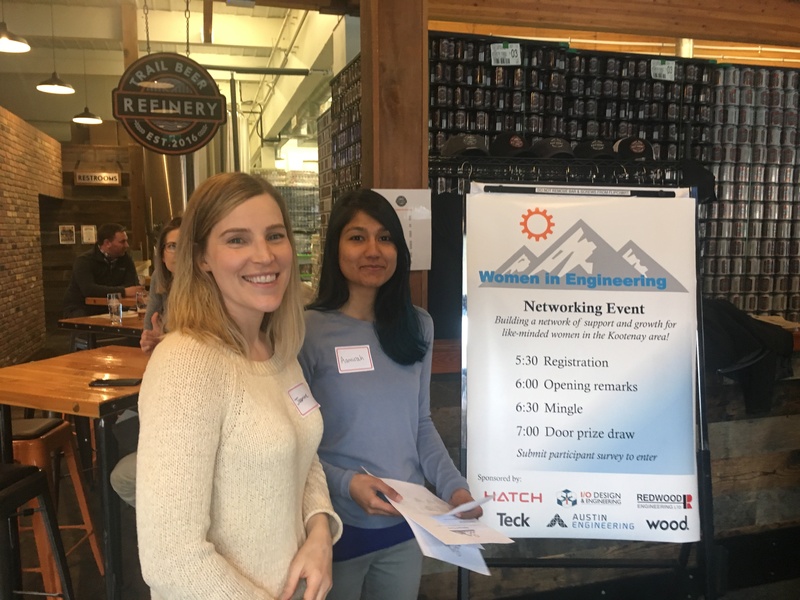 The first networking event for female engineers was held last week in Trail. 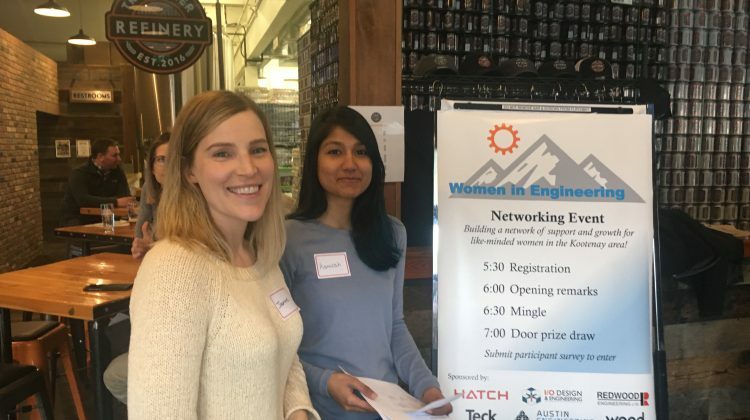 It was organized by a group of five women, including Rachel Moore, a senior process engineer with Teck. About 40 women from around the West Kootenays attended which Moore feels was a good turn out from the 60 or so invitations that were sent out. Typically, women make up about 20 per cent of the engineering work force, Moore says, but the provincial engineering society, Engineers and Geoscientists BC, does have a target to increase that to 30 percent by 2030. At Teck, she says women are 16 per cent of the work force, but the company has been hiring many female engineers over the years. As an area with a lot of local industry, engineering jobs are common in the West Kootenays, there’s possibly hundreds, says Moore. While she doesn’t know exactly how many of those positions are filled by women, she says it was encouraging to find upwards of 60. Another issue Moore highlights is the large income gap between men and women in the Trail area and hopes to see more young women look at engineering as a career. Moore describes it as a fantastic career with meaningful work, though there can be challenges working in a mostly male environment. Just having a community of women to socialize and connect with is very helpful, says Moore. These types of events are held in the Lower Mainland, but the distance is simply too far for a get together that’s only a couple hours long. The first West Kootenay event was an informal get together where women could talk and socialize over dinner, but there’s likely more in the works. A survey was conducted asking what other types of events the group might be interested in. As it’s difficult attracting girls out of high school to pursue engineering, as is keeping them in the profession, public outreach was also included in the survey which could help more young women learn about the career opportunities that are out there.